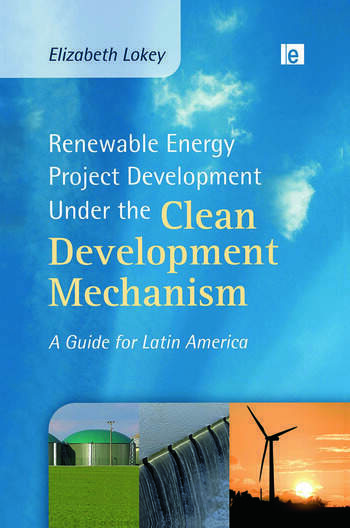 This definitive guide to developing renewable energy CDM projects in Latin America - the largest market on the doorstep of the United States - provides business leaders, investors, project developers and host country offices with the one-stop guide to successful CDM renewable energy project development. The book opens with an accessible guide to the CDM that explains what it is and how it works in both theory and practice with a step-by-step guide for investors, project developers, consultants and Designated National Authorities (DNAs). The book then provides valuable country-by-country market analysis of Latin America with a focus on the electrical sector, renewable energy incentives and the overall investment climate that provides an authoritative guide to the most and least favourable places to develop projects. The final section provides guidance for how to overcome the identified barriers with practical actions for successful project development. Elizabeth Lokey works as a senior carbon consultant with Camco International in Denver, Colorado. She has an M.S. and Ph.D. in Environmental Studies with a focus in energy policy from the University of Colorado and has published numerous articles and book chapters on carbon trading and climate change.